Rallying oil prices have helped eliminate the surcharge that Ecuador imposed two years ago, which ultimately affected 32% of imports. The measure was questioned both within the country and by its trade partners. 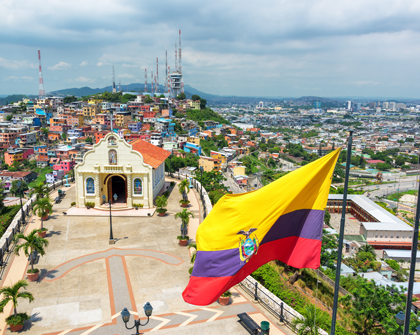 According to Latin American Trade Trend Estimates, a recent IDB report, Ecuador’s exports were strongly affected by the 8.4% drop in oil prices in 2016. However, as petroleum prices rallied, “in the first quarter of 2017 exports rebounded, growing a considerable 34%.” This period saw a US$473.2 million surplus in the balance of trade, as compared to a US$63.3 million deficit during the same period in 2016, according to official data. Authorities established a schedule to gradually end the measure (link in Spanish), starting with products such as fresh and preserved meats, fruits, dairy products, and vehicles. The surcharge was entirely eliminated as of June 2017. According to Ecuadorian authorities, the total revenue from this special tax was US$1.53 billion.